Supreme Plus siding offers performance that can endure the toughest environment. Its unique design makes sure panels resist denting and stay put even when faced with strong winds and hail. 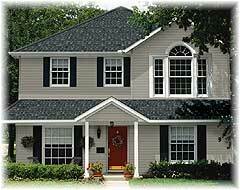 Coupled with Supreme Plus siding’s outstanding strength are its solid good looks. Choose from multiple colors and two distinct profiles to create a picture-perfect exterior design.